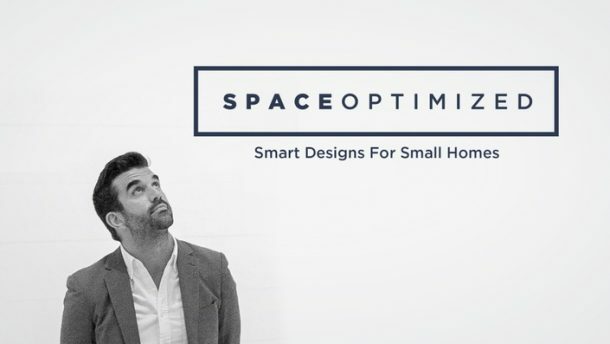 The last days of summer are upon us and with that comes updating your small apartment design for the fall season! Fall happens to be my favorite season. Something about the foliage turning colors and being all bundled up for the chilly weather makes this season so special, don’t you agree? 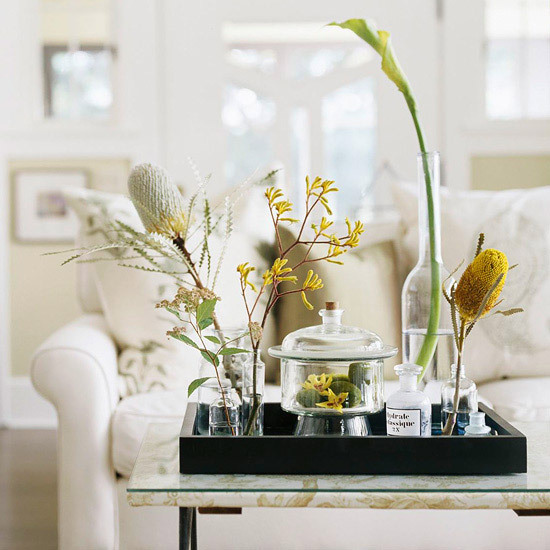 Place your centerpiece vase in the middle of the living room or on any spot you’d like to highlight. 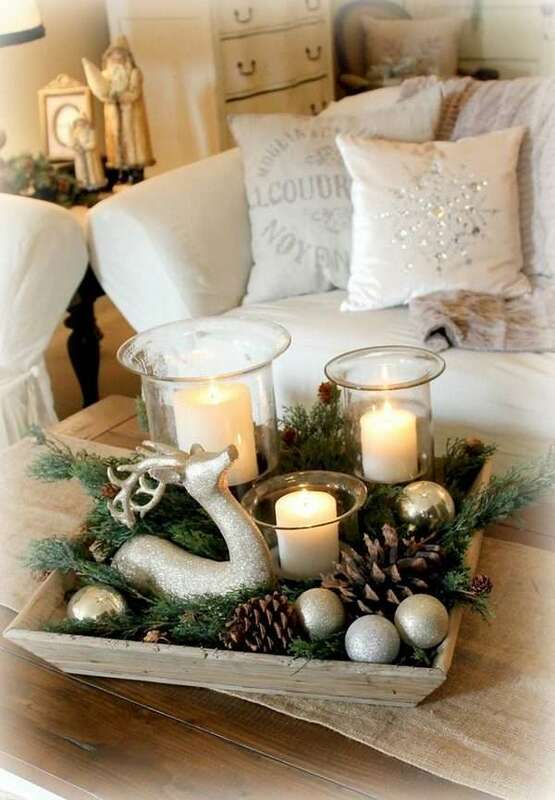 Better yet, why not place your seasonal greeneries near the fireplace to add a touch of coziness to the room? 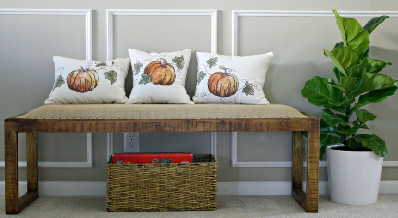 Dress your interiors with rustic decors! 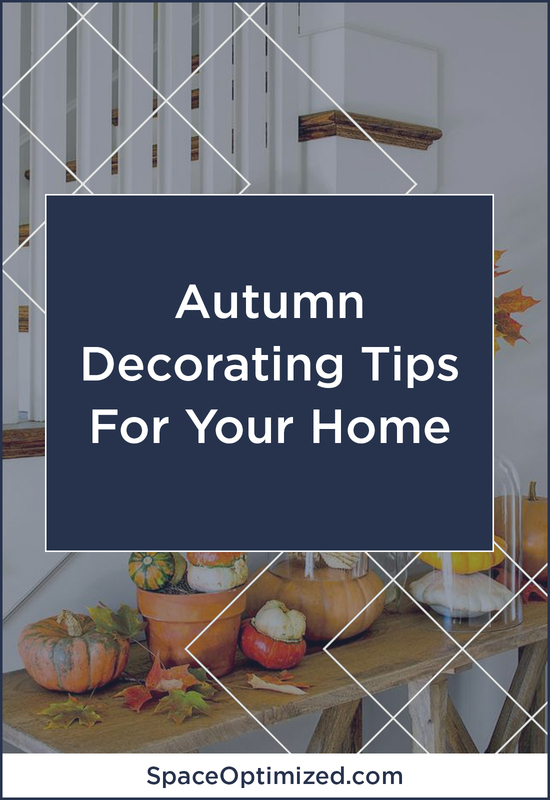 The fall season brings to mind an explosion of red, orange, and yellow all around so use these autumnal colors when updating your decors. 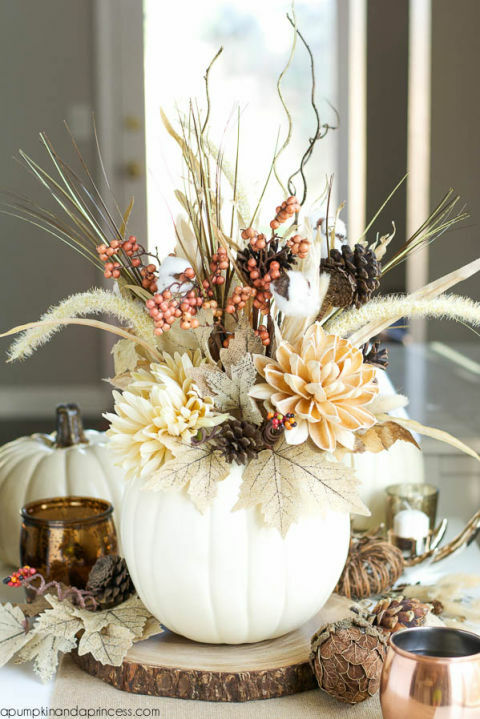 You can craft your way into accessorizing for fall by making your own table display. 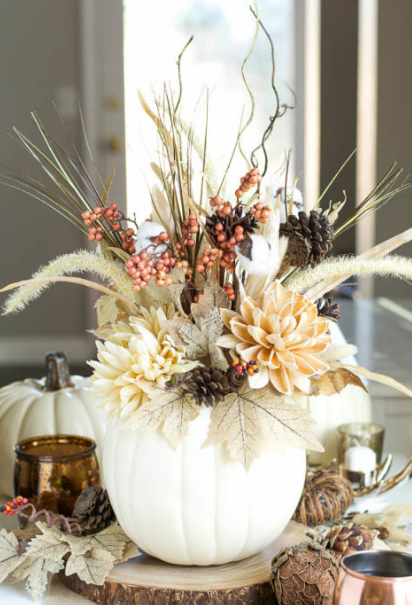 This pretty portable centerpiece can be used as a dining table or entryway decor. 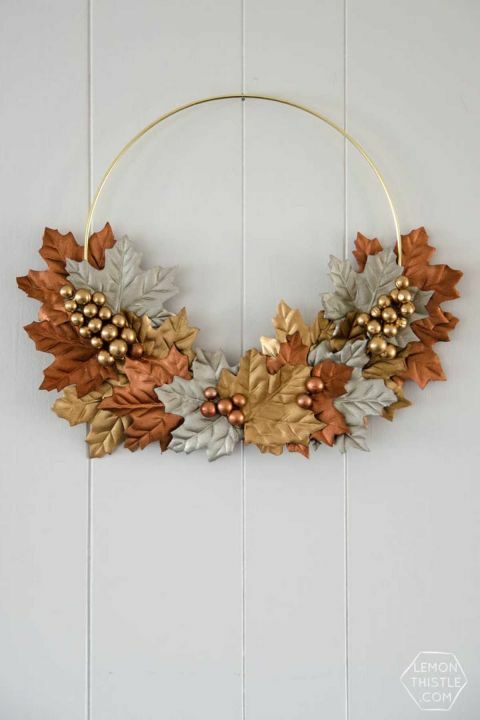 You can also hang a wreath made from mini pumpkins or a garland made out of pinecones! 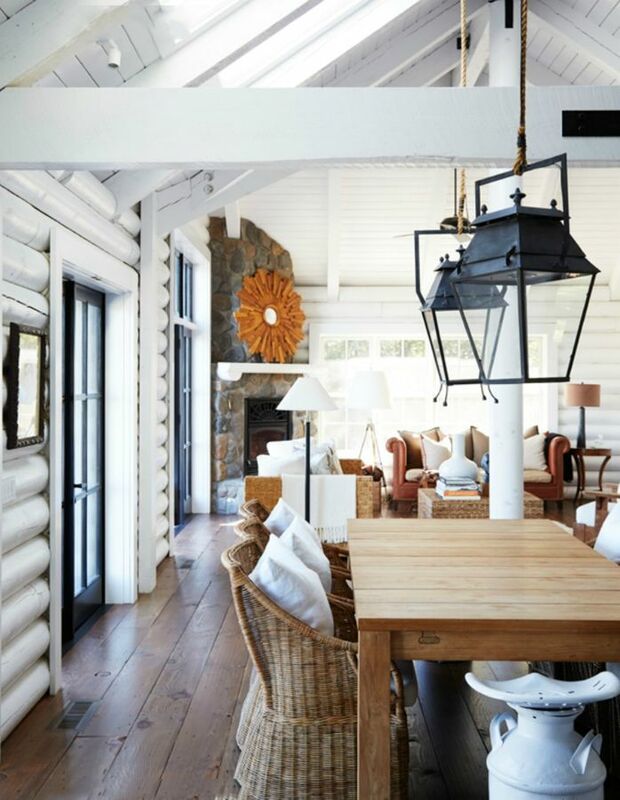 You can also place cold-weather decors in the living area to turn it into a log cabin. Don’t be afraid to play with different textures or patterns to give the interiors extra dimension. Rugs and pillows make a room extra cozy so a few of these in key areas of the home instantly add autumnal flair in the space. 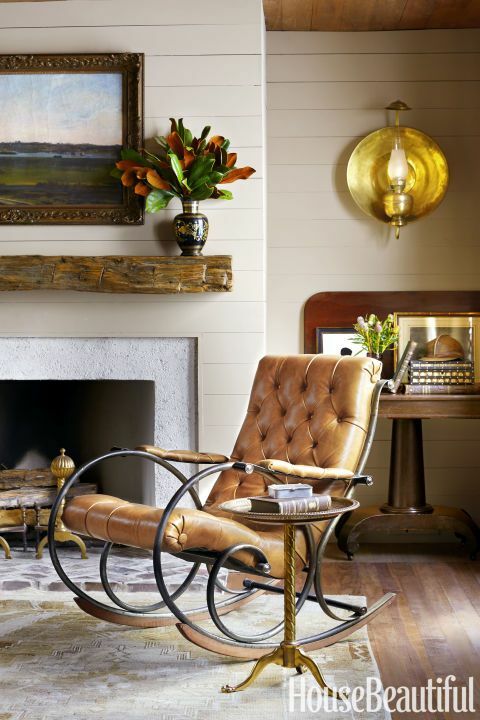 To accentuate these areas, don’t be afraid to mix deep-hued fall accents with neutral interiors. 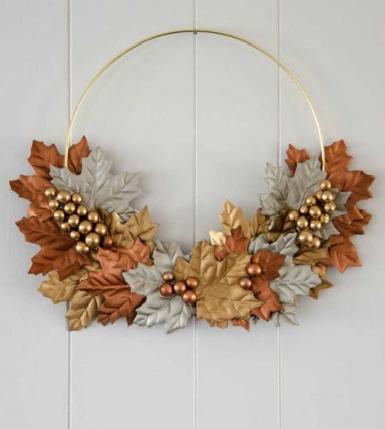 Burnt orange, red, mustard yellow, all these autumnal colors will look spectacular against a neutral background. 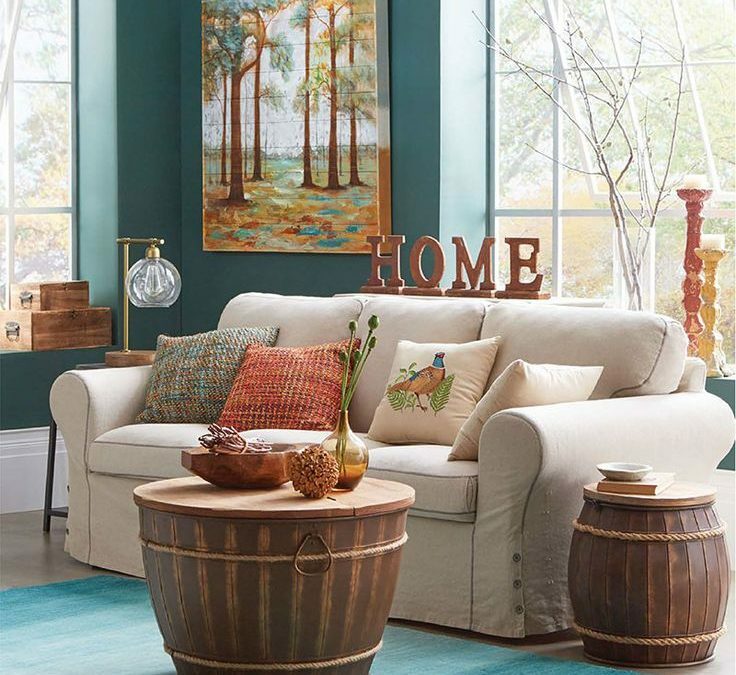 Add a plaid or striped throw on the sofa to complete the room’s rustic, cozy aesthetic! 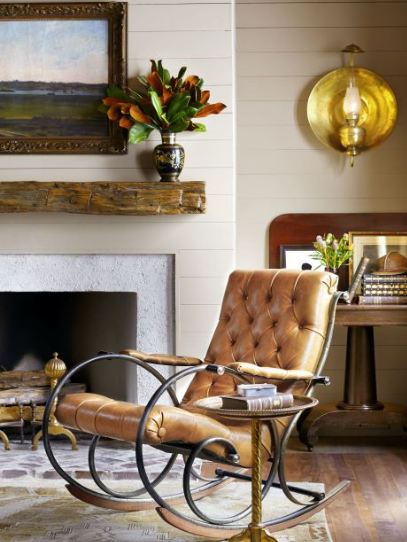 Vintage decors complement rustic accents so incorporating retro pieces into your small apartment design brings fall into your home. 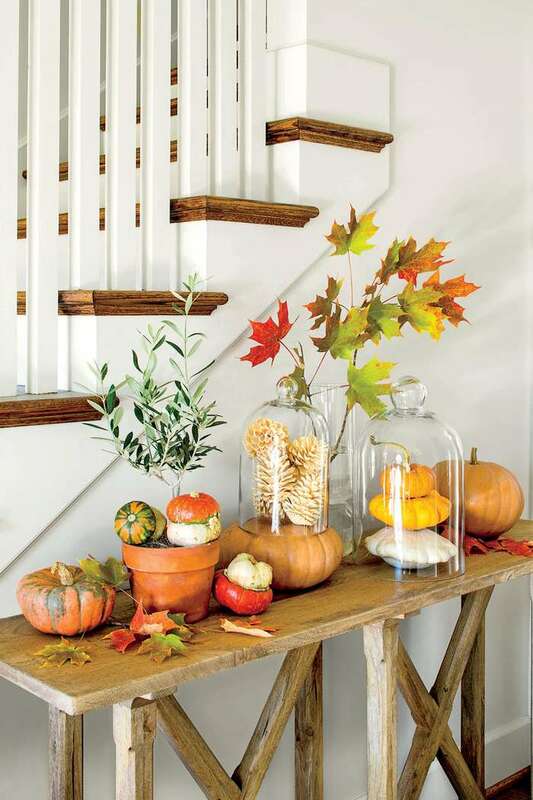 Placing fall foliage in an antique dresser is a clever way to mix the old with the new. Same thing goes for arranging festive pumpkins on your distressed fall tableau. 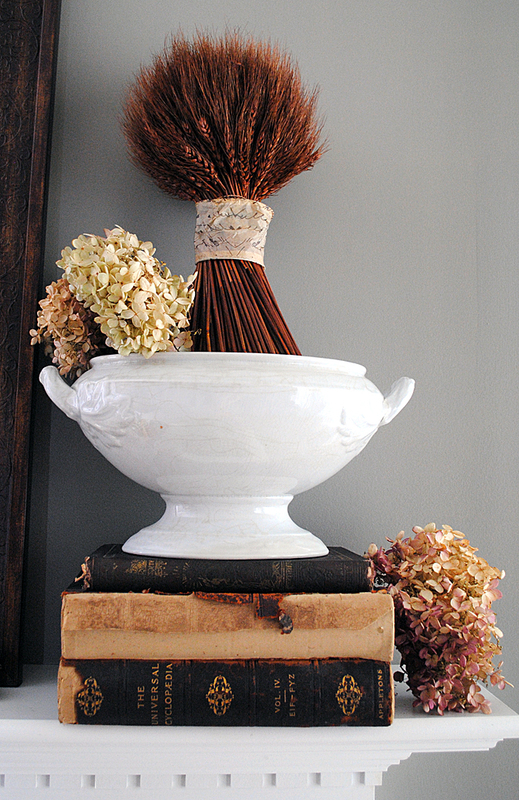 Stacking a couple of old books and propping a tureen that pulls double duty as a vase is also a simple way to add texture and style to the living space. 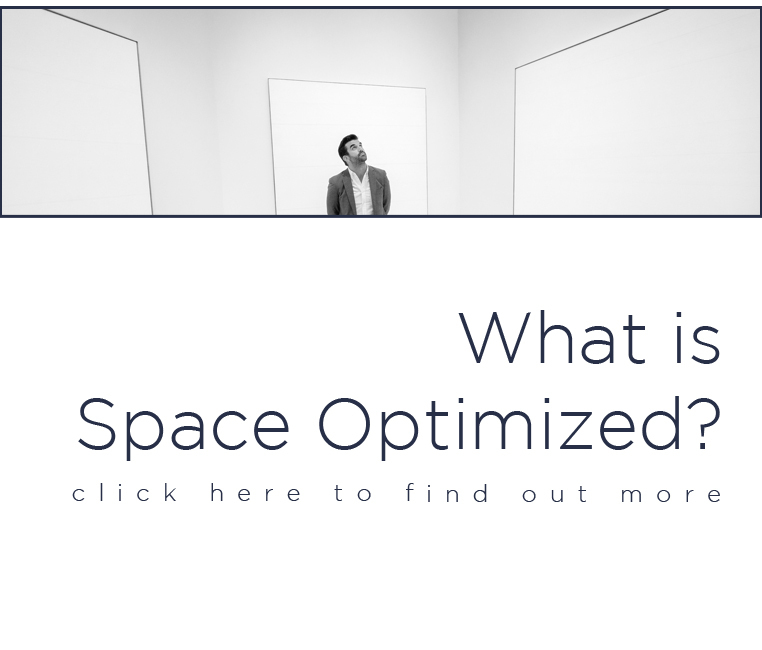 Dress your space with plants to complement the changing foliage outside. 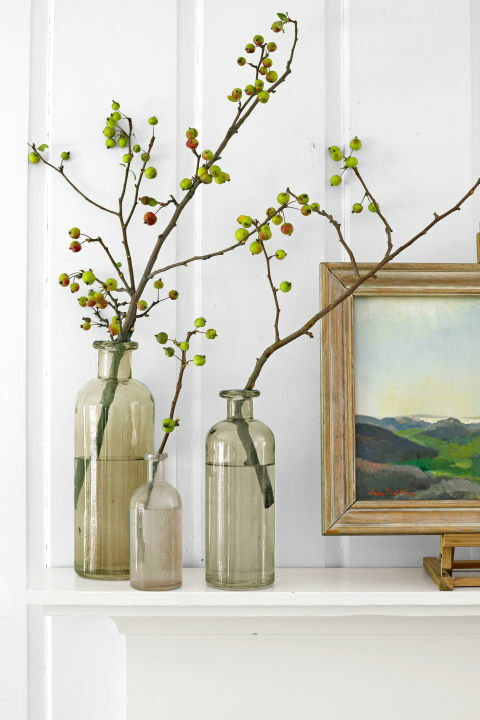 If you’d like to go for a subtle touch of green, try grouping clear vases in different sizes together and popping stripped crabapple or chestnut branches into the vases for a fall-themed foliage display. 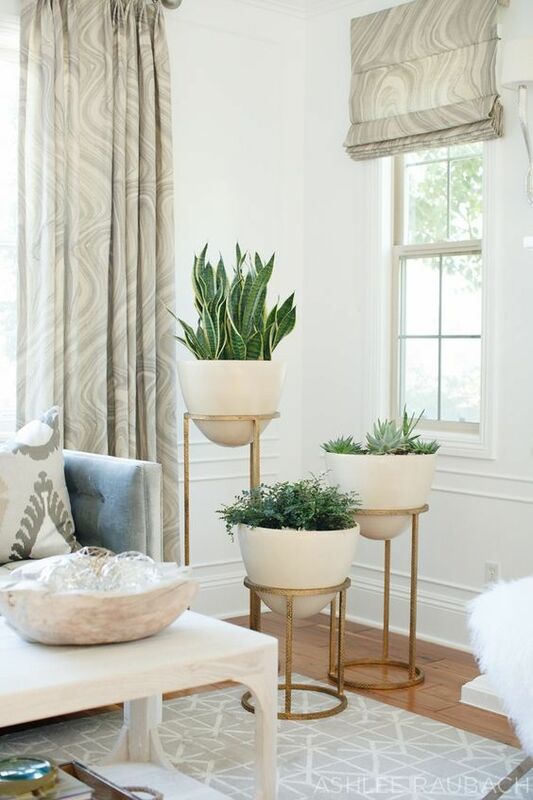 You can also go for larger accent plants for a brighter pop of green in any room. You can opt for one large accent plant or grouping together several potted plants for a lush look that screams fall! Another way to introduce plants into your autumnal design is to mix pods and branches to make a tabletop foliage display. 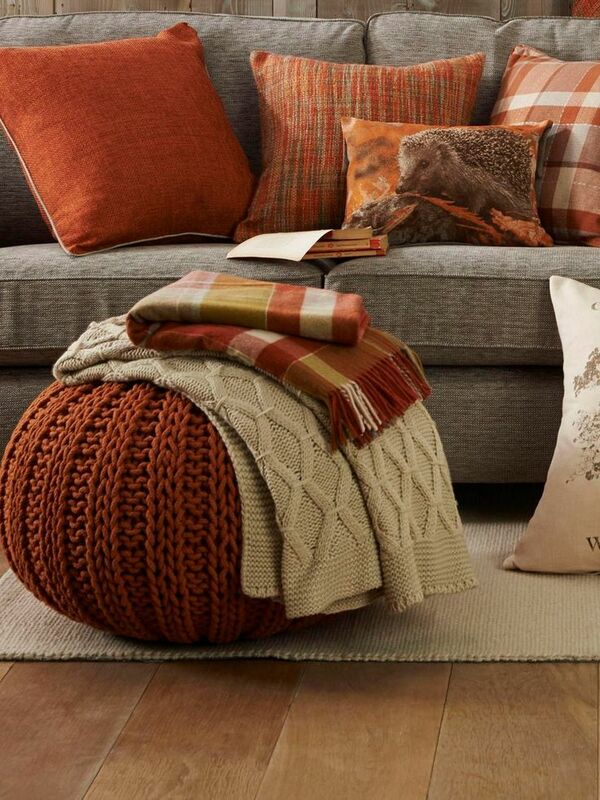 Piling on the blankets carry the pleasures of fall into any room. 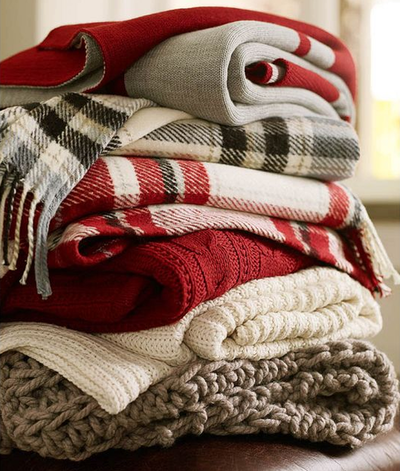 From tartan blankets to quilts, thick, wooly blankets add warmth to the bedroom, living room, or even the game room. Chilly weather is made for cozying up by the fire. 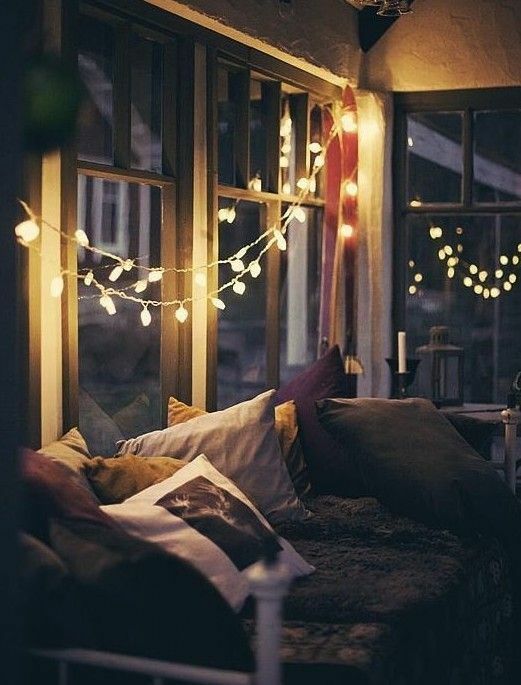 Mimic the soft glow of a chilly autumn evening with candles, tea lights, or fairy lights. 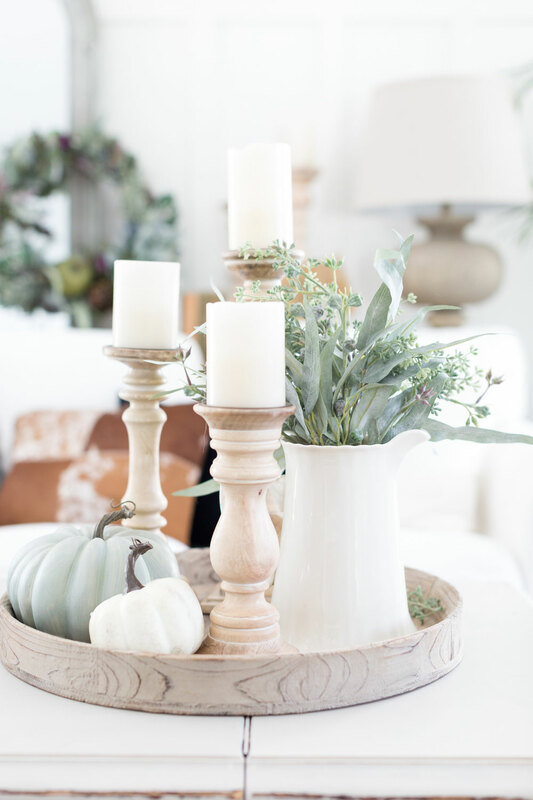 Give your living space a subtle fall season glow by incorporating scented candles into your centerpiece or mantel display.